With the ever increasing amount of online fraud, theft and spam, the Federal Trade Commission (FTC) has been vamping up their efforts to protect US consumers on the web. Since 2014, there has been a noticeable rise in the FTC regulating companies’ data security practices and cracking down on non-compliant businesses. Additionally, the EU has designed a set of laws to strengthen personal data protection for its citizens, called the General Data Protection Regulation (GDPR). Set to go into effect May 25, 2018, the GDPR applies to any company that processes or stores the personal data of EU citizens. Is your website breaking any laws by not having the proper legal pages and data protection policies in place? Do you understand the FTC rules that apply to your website? Are they even on your radar? 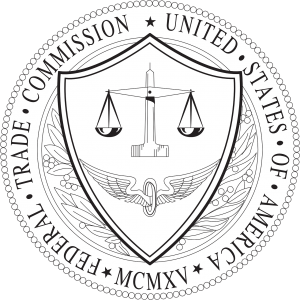 The FTC is the federal government’s primary consumer protection agency. Over the last decade, online data security has become a key component of consumer protection obligations regulated by the FTC. While some legal pages that limit your liability online are recommended, others are required by law to be compliant with the FTC. If you sell anything to US consumers online, or collect sensitive data, like social security numbers or credit card information the FTC guidelines become more complicated. Additionally, there are FTC regulations for affiliates and sponsor ads displayed on your website. Even more rules apply to online marketing, and the list goes on. Online entrepreneurs and small businesses are typically not familiar with what it takes to be FTC compliant. And frankly most people don’t have the time to read through the FTC’s lengthy online documents filled with legal jargon. From there, creating and implementing the necessary legal pages on your site can be a tedious process. While your chances of being pursued by the FTC may be slim, it does happen. And, if it does happen to you, are you prepared for the hefty consequences? The easier and more reasonable thing to do is become FTC compliant. The larger companies like Microsoft and Amazon have already put forth the the time and effort to create compliance programs and satisfy the FTC. It’s the small and mid-sized businesses that may not fully understand what the FTC wants that we’re seeing become prime targets. As a bonus, using the proper legal pages required by the FTC will help you become compliant with the GDPR. KartHost™ is passionate about helping our customers succeed online. And with that in mind, we are excited to announce a partnership with FTC Guardian. FTC Guardian gives you access to the tools and training needed to stay up to date on FTC compliance. 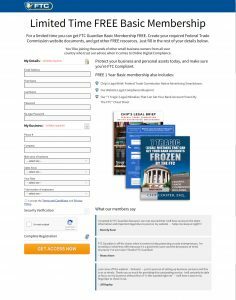 KartHost™ is now offering our customers a 1-YEAR FREE MEMBERSHIP TO FTC GUARDIAN to help establish the basic legal pages needed for your website. That’s a $288 value folks. Even though it may never happen to you, FTC & GDPR compliance is a no-brainer. To access your free account with FTC Guardian, simply login into your KartHost™ Customer Center. From there, look for the popup containing your unique URL and password. After you are logged in please follow these instructions below the video on the Welcome Page. Click on My Account and make sure all of your information is up to date. Very Important. Next… Click on ‘Quick Start Guide & Blueprint and download the PDFs & watch the videos. Then, go to Basic Website Legal Compliance Documents – Watch the video, and download and review both PDFs.